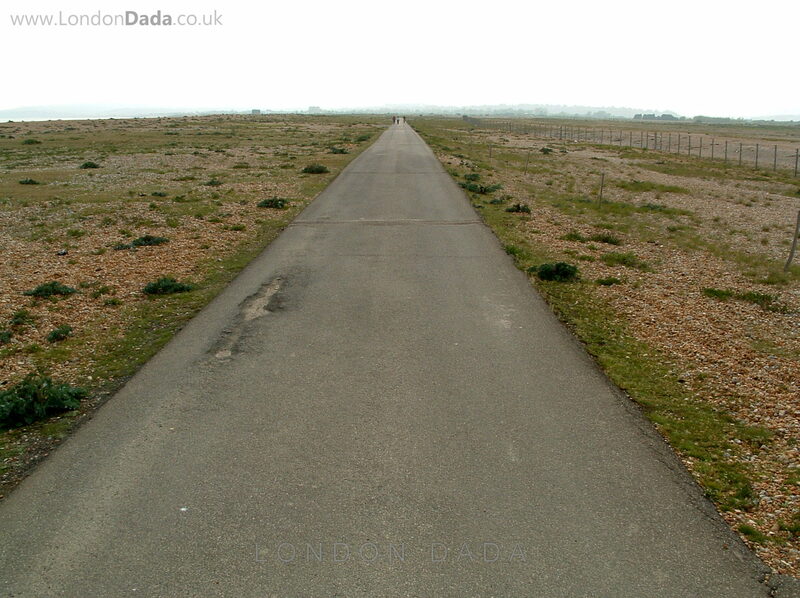 WW2 military road, Rye Harbour, E. Sussex. If everywhere is everywhere, are we only apparently on the road to everywhere while not realizing, for the time being, that we’ve already arrived? This entry was posted in Uncategorized and tagged Dada, road to everywhere by Michael St.Mark. Bookmark the permalink. The road to everywhere, but I’m only going somewhere, so looks like I won’t be travelling along it. A most interesting concept and I’m sure many a learned paper could be written on just that. Many a learned paper has been written already I think GS. But philosophy is a simple thing made complicated, so they say. Road to anywhere might have been just as apt a title. Somewhere might turn out to be everywhere, you never know.. . when you know there’s nothing to know you know Everything – that is the road that is travelled, the road of un-learning ( but not in the educational intellectual sense.). . .again so they say. philosophy is a simple thing made complicated – I like that – I haven’t heard it before, even if they do say. I’m thinking that road looks very interesting for a long walk – there seems to be nothing much to see, so one could get lost in thought, and really go somewhere, even if it’s just in one’s head. Where is it? It is Rye Harbour GS. Take the coast road from Rye ( Sussex) town. At the end there is the Rye Harbour bog blogged toilet on your left ( see my Great Public Toilets of our Time & dont forget your duty to check it out ). From the car park take the long road out to the sea, passing “The house that Dada built” building and New Dada found installation ” A Public Hanging” (see both Dada Tags). Just before you reach the second second world war gun placement concrete bunker ( “New Dada Hayward “(( see Tags again))) take the road turning off right at 90. You have to take this road because if you kept walking straight on you would descend into the English Channel (not recommended this time of year, the water is still very cold) Have a peek over at the sea anyway, with any luck it will be a windy day and the tide in – the waves on the pebbles there are thunderous. Anyways, as soon as you take the track that turns off right you will see the straightness leading off into the distance. That is the “road to everywhere”. Even better by bicycle, it runs for about three or four miles in the direction of Hastings and Moondancer country ( Brighton). Enjoy . . .& bring us back some pics too! How dare you show the driveway to ‘Chateau Dennypoos’ without mentioning it in bed last night. Not a driveway Denny, it a tarmac pyramid. In bed last night? Surely you must be dreaming. It would be a cone perchance if one was on the other side or indeed Australasian. WOW, Great philosopher you are! Maybe the future and the past don’t really exist, psychologically? Maybe there is only the present moment, everything else is in our imaginations. I mean, we can’t imagine the present, it just IS. MSM a philosopher, Kiki? Maybe just someone who likes to enquire into life and its meaning, that should be the natural thing for everyone, but I think lots of folk shy away from it and rather embrace society out of fear of the unknown. It’s understandable, there are some sobering truths to have to face up to. I like your wise stories Zen’isms Kiki, keep them coming! Your English is also getting much better. Good Morniiiing Mike, yes i find very interesting the way you think; so do i like to question about and be “curious” on certains matters. But yes that was what i tried to mean, maybe i didn’t expressed myself well, but that’s it, as you say…AAAAH i think all those who question about or wonder are a kind of philosophers, yes! And it’s GREAT because unfortunatly most people easily acomodates or embrace without question or worry about what surrounds them; maybe because they prefer money,or are material persons, etc..hmm i don’t know really, i just think that most persons are very selfish indeed, don’t care about nothing else besides their own things. I agree with you about those truths. But the “guys” with power or don’t let or make people minds even with media ( TV, Newspapers,etc). OOh, those Zen and buddhism’s stories? i enjoy a lot too, they really let me wonder! and some are funny. I’v my own ideas, i’m not zen or Buddhist, etc… i’d been raised in this catholic society but i don’t pratic’it.I really enjoy their stories, and when i can always read one, i promise i keep posting them. My english?Thanks, i’m glad you tell that. Unless,St Mark…we are fortunate(or Learn) to have time to Stop,Ponder & Appreciate whats around us! What is around us/IS us? Is it the truth? Get to the real by eliminating what is not real, the real will always stand on its own, independently. In other words find out what is stopping us from experiencing things as they actually are. That learning supposedly leads us towards experiencing greater and greater aspects of the truth. I Like your tree amongst skscrapers photo Dean, very much. Would you mind if I used it for New Dada Work 216? The tree looks freaked out!! (twigs standing on end) surrounded by alien nature. Perhaps a title something like “The last tree in the world”. . .? I`d be hounourd for you to use my Image for New Dada Work 216…D.C. Great thought about the image. I guess it’s like the glass being half full or half empty. Are you going everywhere or nowhere? Or are we already there? Thank you for your comments on my art. Laura’s art is strangely unique and intriguing, check her site out via her link, above.